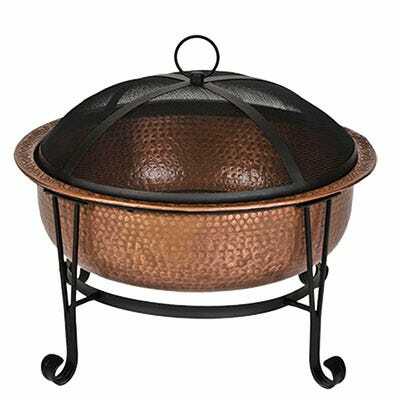 Constructed from pure copper, this fire pit only gets better with age as it develops a beautiful green patina. A spark guard is included to stop stray sparks so you can still feel the warmth of the fire without worry. A heavy metal frame creates a solid foundation for years of enjoyment. 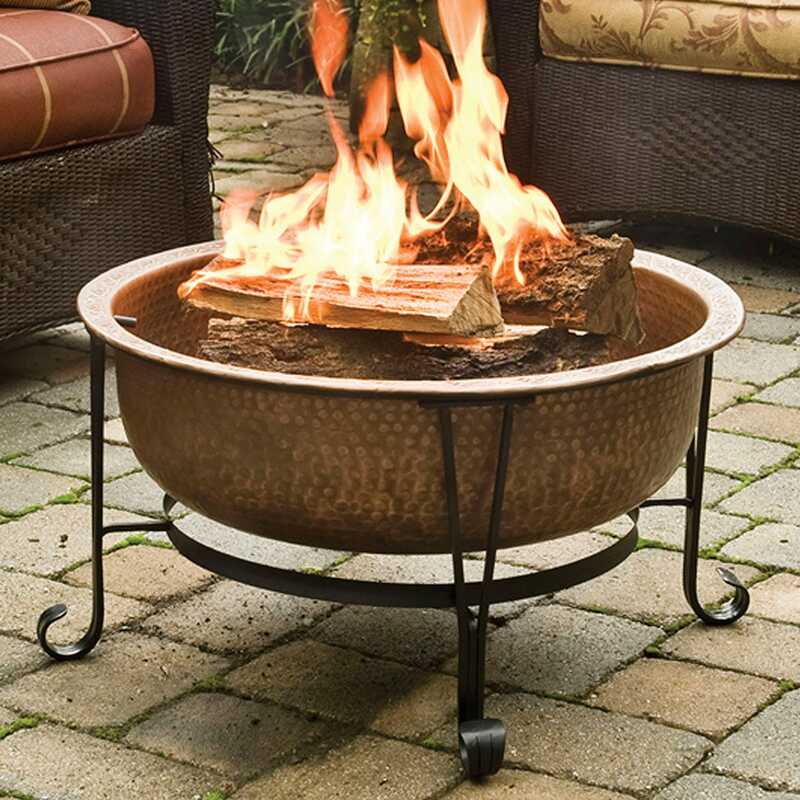 With its hammered exterior this fire pit is the perfect centerpiece for any outdoor area. 26 inch diameter fire bowl holds enough wood for hours of crackling fire. Measures 23 inches tall, Vinyl cover included.